Preview night – Wed 3rd Oct 6-9pm. Meet the quilters. All art lovers welcome. 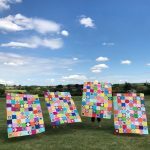 The South West Modern Quilt Guild (SW MQG) was formed in January 2016 by Chairman Sarah Ashford, Joan Herrington, Alice Blackledge and Fiona Pullen. All founding members have a wealth of experience to bring to the (quilters) table. 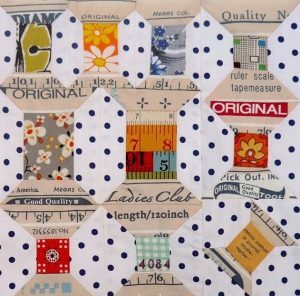 Sarah is a teacher and modern quilter and writes patterns for many quilting publications. Joan is a former textiles and fashion tutor and co-owner of Dotty Dolly a quilting fabric shop in Wellington. Alice is the editor of Love Patchwork and Quilting magazine, and Fiona is the founder and co-owner of the Sewing Directory website, as well as author of Craft a Creative business. 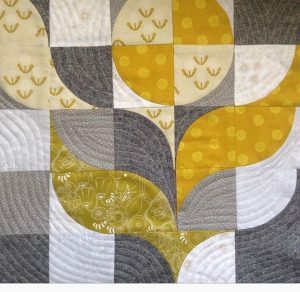 Drawing on their experiences they quickly set up a full and thriving Modern Quilt Guild in the South West. The SW MQG is a franchise and part of the wider Modern Quilt Guild based in Los Angeles, California. 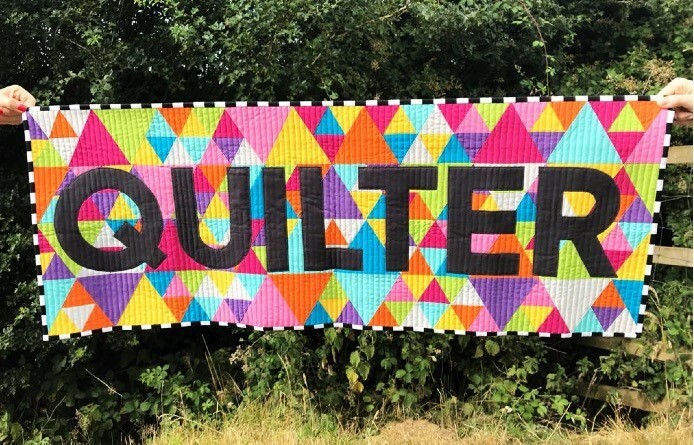 From the outset the SW MQG attracted members from all over Somerset, Bristol, Devon and Cornwall, and they meet once a month to sew, take workshops, go on educational trips and grow as modern quilter’s. But what is meant by ‘modern quilting’? It’s tricky to pinpoint an exact definition but the quilts are primarily functional and inspired by modern design. They often include bold colours and prints, high contrast, solid colour, improvisational piecing, minimalism and negative space. The SW MQG embraces all of these elements and this exhibition has been curated to showcase the very best of modern quilting happening right here in the South West.